If you woke up one day and YouTube wouldn’t exist, what would you do? Where would you go to listen to your favorite artists? YouTube is basically the number one streaming platform in the world for music listening and sharing and it has now a bigger viewer audience than any other service. A Europe-focused study released last week and carried out by the RBB Economics has confirmed YouTube remains hugely popular and it drives users away from file sharing and piracy websites. It was proven so that in the absence of YouTube, people would go for pirated content. The music consumption habits have evolved a lot in the last two decades. After YouTube, subscription music services appeared. But there is a huge value gap between these two. Essentially, this value gap makes what the music industry sees as low revenue payments, which means that the number of streams increased on YouTube, but their ad-based royalties to artists remained low. The growth in music consumption is not necessarily matched by the growth in digital piracy: all those billions of views piled up on YouTube have reduced illegal digital downloads. Fact, YouTube doesn’t keep people away from paid music channels. The Google-owned company seems happy with the results. 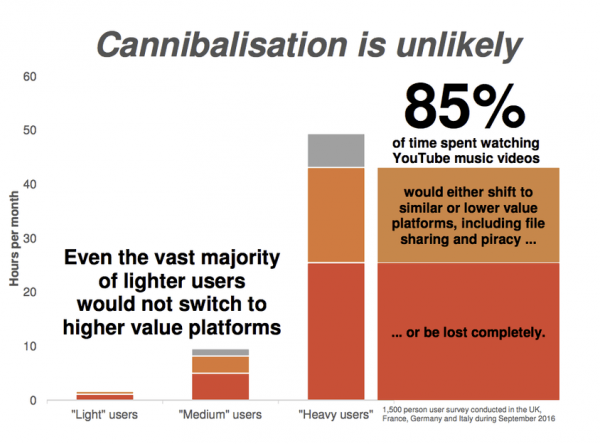 The RBB Economics surveyed 1,500 music consumers across Germany, France, Italy and the U.K.
YouTube is essentially the world’s biggest music service and if it disappeared overnight, 85% of its users would switch to lower-value portals such as pirate music websites or all the time spent listening to music on the platform would be lost entirely. The report also finds that nearly 15% of the people engaged in the study would divert to higher-value subscription services. For instance, in the UK, nearly one-fifth of the respondents claimed they would go for an alternative music streaming service, which pays directly for all its licenses. In France, that percentage goes up for 12%. The report tried to show YouTube is cannibalizing higher-value music streaming services, but it failed miserably. If the music content would be removed from YouTube, users would spend 85% of the time on a low-value online music platform. The music industry is missing out approximately $535 million each year and YouTube seems to have something to do with it: the reports’ findings have shown that YouTube has a negative impact on the revenues from music. Google has a massive streaming advantage and the giant video platform is protected by the inconsistent DMCA (Digital Millennium Copyright Act) law. This study makes no sense, right? YouTube isn’t going anywhere really. YouTube has often been criticized that it influences legal music sales, by relying on user-uploaded content. Previously this year, a report by the RIAA (Recording Industry Association of America) showed that YouTube depends very much on a legal loophole just to pay small shares to artists and creators, even lower than the true value of music comparable to other music streaming services. The DMCA basically claims under a safe harbor requisite that platforms are not responsible for copyright infringement by third parties. Even though it offers unlimited free music, YouTube does not negatively impact the other music streaming services. 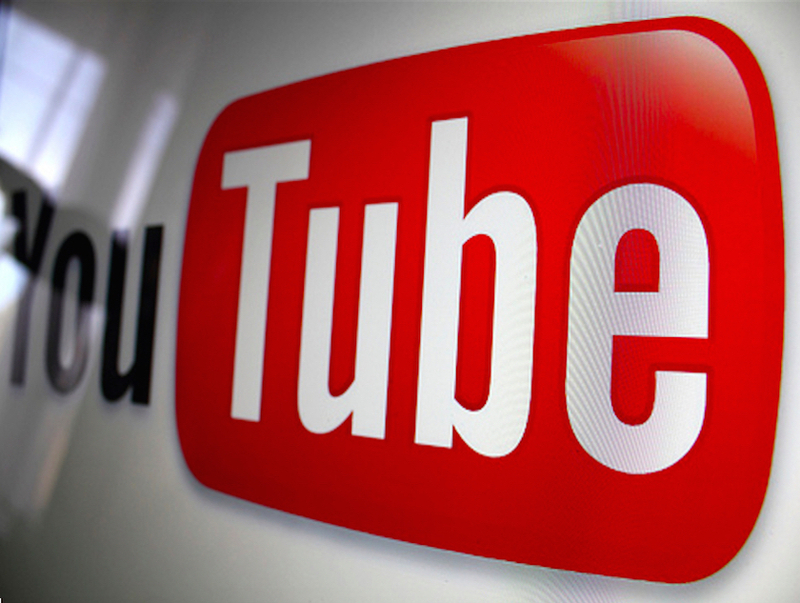 The Google-commissioned report revealed that YouTube keeps people away from pirate music platforms. Without the music videos on YouTube, users would alternate towards file sharing and piracy, the study finds. YouTube has paid more than $1 billion to the music industry in ad-based revenue last year, while equally monetizing content generated by users. By paying them less by 85% than Apple Music and Spotify, YouTube is failing to license music and compensate artists like all the other lucrative streaming music services. Yet, YouTube still argues it’s a separate type of service, sustained by both advertising and streaming.